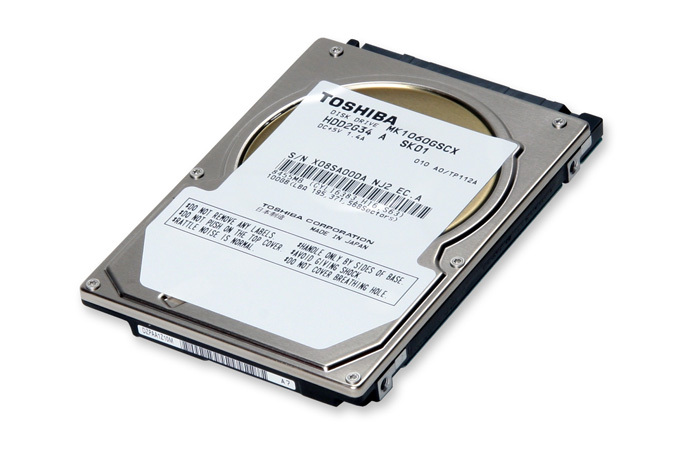 Toshiba Storage Device Division presents two new 2.5-inch hard disk drives – 100GB SATA and 80GB model with PATA interface, designed to work 24/7 across wide temperature, altitude, and vibration ranges. The new HDDs work at 4200RPM, offer up to 1.5 Gb/s(MK1060GSCX model) and 100MB/s MK8050GACY speeds and feature a “case temperature” range of -15 to +70 degrees Celsius. Toshiba says that they are excellent choices for use in industrial equipment such as ATMs, digital surveillance, factory automation, and ruggedized PCs. The MK1060GSCX and MK8050GACY will begin volume production in December 2010.